Results of a research that took place from 1984 to 2010 in the Gulf of St. Lawrence (Canada, North Atlantic Ocean) about changes in migration patters of whales due to global change have been published this March on Plos One. In this post, you are going to find a summary of this article. Global change (wrongly called climate change) is a planetary-scale change in the Earth climate system. Despite of being a natural process, in the last decades the reason of the changes is human because we have produced an increase of the carbon dioxide’s realise due to fossil fuel burning. Global change is a challenge for migratory species because the timing of seasonal migration is important to maximise exploitation of temporarily abundant preys in feeding areas, which, at the same time, are adapting to the warming Earth. Other driving forces are the use of resources like mates or shelter. This is the case of fin whale (Balaenoptera physalus) and humpback whale (Megaptera novaeangliae), which feed on a wide variety of zooplankton and schooling fish. This zooplankton grows due to an increase of phytoplankton, which grows for the increasing light and nutrients during summer. Remember that in this post you can read about the feeding behaviour of humpback whales. This is not the first time that it has been reported changes in migration species’ home ranges in both summer and wintering areas and alterations of the timing. 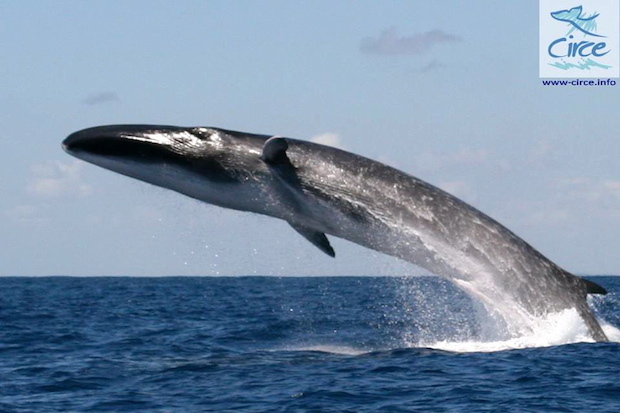 Fin whale (Balaenoptera physalus) (Picture from Circe). 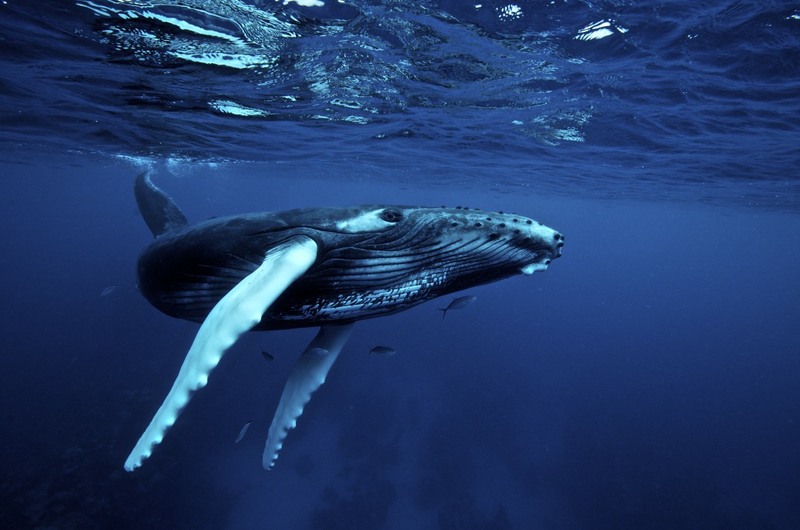 Humpback whale (Megaptera novaeangliae) (Picture from Underwater Photography Guide). It is observed a general pattern in migratory species: they use high-latitude summer regions to take advantage of high productivity and abundance of their preys and some of them reproduce during this period. Generally, long-distant migrants seem to adapt less well to climate change than short-distant migrants. 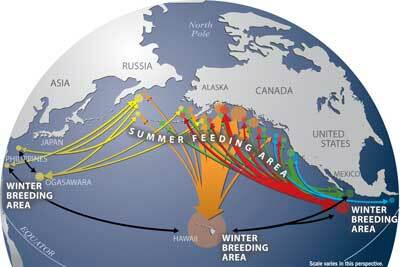 The case of humpback whale (Megaptera novaeangliae) migration. (Picture from NOAA). More pole-ward distribution and more beforehand arrival in feeding areas to follow changing prey distribution. Longer residency time in higher latitudes in response to enhanced productivity. HOW IS GLOBAL CHANGE AFFECTING WHALE MIGRATION? The article’s results show that fin and humpback whales arrived earlier in the study area over the 27 years of the study. Nevertheless, the rate of change of more than 1 day per year is undocumented. Both species also left the area earlier, as observed in other species. Humpback whale departure changed at the same rate as arrival, so it keeps a constant residency time. On the other hand, fin whales have increased the residency time from 4 days to 20 days. However, that increase is subject to small sample bias in the first two years and there is only weak evidence that fin whales increased their residency time. Mean first and last sighting date in fin whale (Balaenoptera physalus) and humpback whale (Megaptera novaeangliae) (Data from Ramp C. et al. 2015). In addition, the results suggest that the region represents only a fraction of the potential summer range for both populations and both species just spend a part of the summer. What is clear is that both species showed the same behavioural adaptation and advanced their temporal occurrence in the area by one month. Other studies have reported that gray whales (Eschrichtius robustus) have probably ceased to migrate annually in Alaska (Stafford K et al. 2007). WHY ARE WHALES SHIFTING THEIR MIGRATION PATTERNS? It seems that fin whale arrival in the Gulf follows the shift in the date of the ice break up and the sea surface temperature (SST) serves as a signal to the whales that it is time to move back into the Gulf. There was a time delay of 13-15 weeks between when this area became totally ice-free and their arrival. This has also seen in Azores, where fin and humpback whales arrive 15 weeks after the start of the spring bloom to feed on it when en route to high latitude summer feeding grounds. The influence of SST in January in the Gulf may have triggered an earlier departure of humpback whales from the breeding grounds and thus earlier arrival in the Gulf. These two species of whales are generalist feeders and their arrival in the Gulf is related to the arrival of their prey. The improvement of the temperature and light conditions and earlier ice break-up (together with higher SST) leads to an earlier bloom of phytoplankton followed by the earlier growth of zooplankton. Therefore, the earlier arrival of fin and humpback whales enables timely feeding on these prey species. A 2-weeks time lag between the arrival of fin and humpback whales lets humpback whales fed at a higher trophic level compared to fin whales, what reduces competition. Global change shifted the date of arrival of fin whales and humpback whales in the Gulf of St. Lawrence (Canada) at a previously undocumented rate of more than 1 day per year earlier (over 27 years) thus maintaining the approximate 2-week difference in arrival of the two species and enabling the maintenance of temporal niche separation. However, the departure date of both species also shifted earlier but at different rates resulting in increasing temporal overlap over the study period indicating that this separation may be starting to erode. The trend in arrival was strongly related to earlier ice break-up and rising sea surface temperature, likely triggering earlier primary production. If you enjoyed this article, please share it on social networks to spread it. The aim of the blog, after all, is to spread science and reach as many people as possible. Feel free to give your comments. This publication is an introduction to bottlenose dolphin (Tursiops truncatus) parasitology. In this publications, there is a list of parasits that they have been found in bibliography and in the next publication we are going to talk about three of them. The interest on marine mammals’ diseases, mostly on cetaceans, owe to their use on research and entertainment. There is different species of parasits on cetacean, but some of them are accidental parasits that doesn’t cause any serious problem. The following list are the parasits of Tursiops truncatus.